Renowned for its fried chicken, KFC is one of the leading fast food restaurants that serve up yummy fried chicken at affordable prices. Since its first outlet in 1977, there are currently 87 KFC outlets throughout Singapore. So in order to generate more fried chicken loving customers, KFC has been constantly updating their service by offering delivery to the doorstep! Of course, they also update their menu from time to time and include something new. 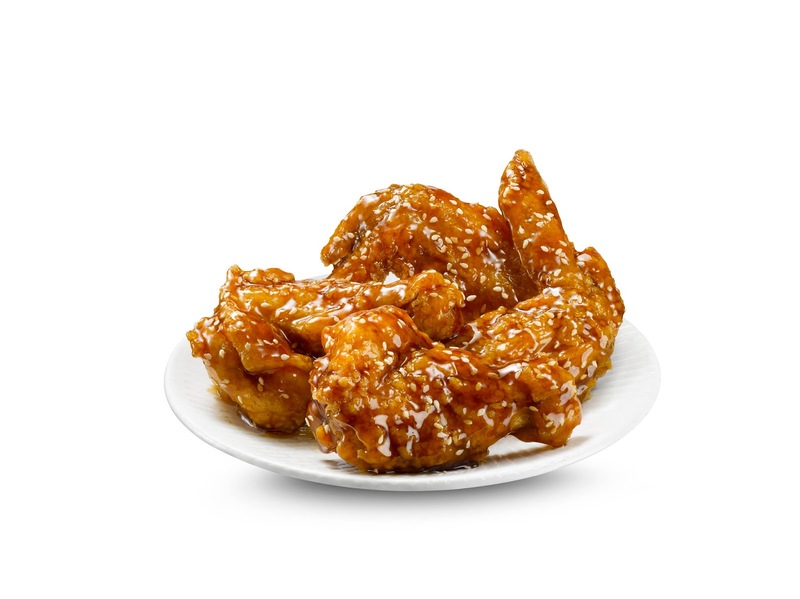 This time round KFC launches the new KFC Wings – Freshly breaded in-store with a special batter, these juicy wings are cooked to crispy perfection and coated in two bold flavors – the tangy yet savory Japanese inspired Umadare and the sweet and spicy Korean inspired Yang Yeum. Who will be crowned king of the wings? You decide. 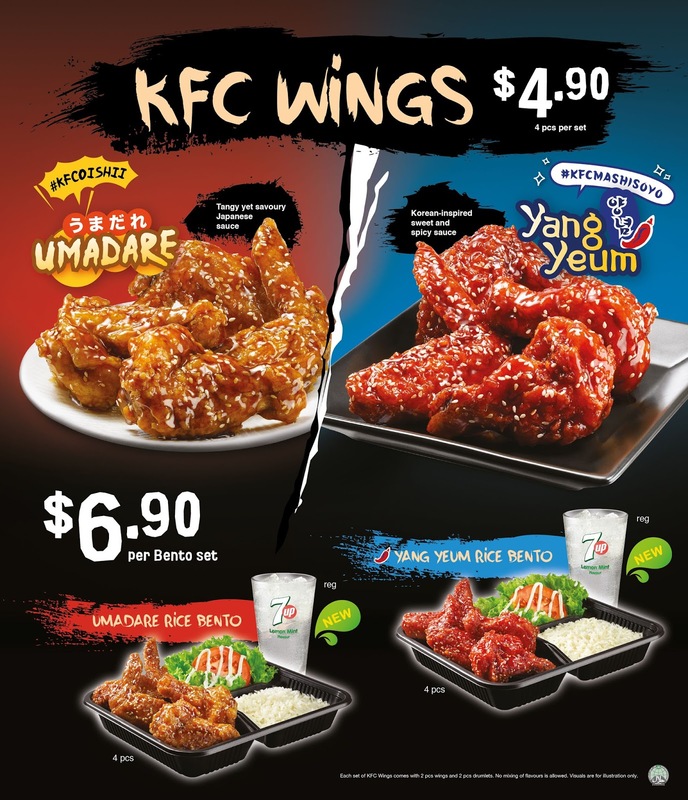 The wings set, a la carte, consist of 4 pieces of chicken (wings and/or drums) and cost S$4.90 which is pretty affordable and surprisingly quite filling (if your appetite is not that big or you are not that hungry). However, if you have a bigger appetite the bento set with rice might be just the meal for you: the sauce from the wings whets the appetite and makes you just want to make eat up all that rice. It only costs S$6.90 and comes with side salad, and the new 7Up Lemon Mint drink! The Umadare flavored wings are Japanese inspired. It’s sweet & tangy sauce tingles the taste buds and make you just want to eat more; perfect if matched with rice (and you are very hungry)! 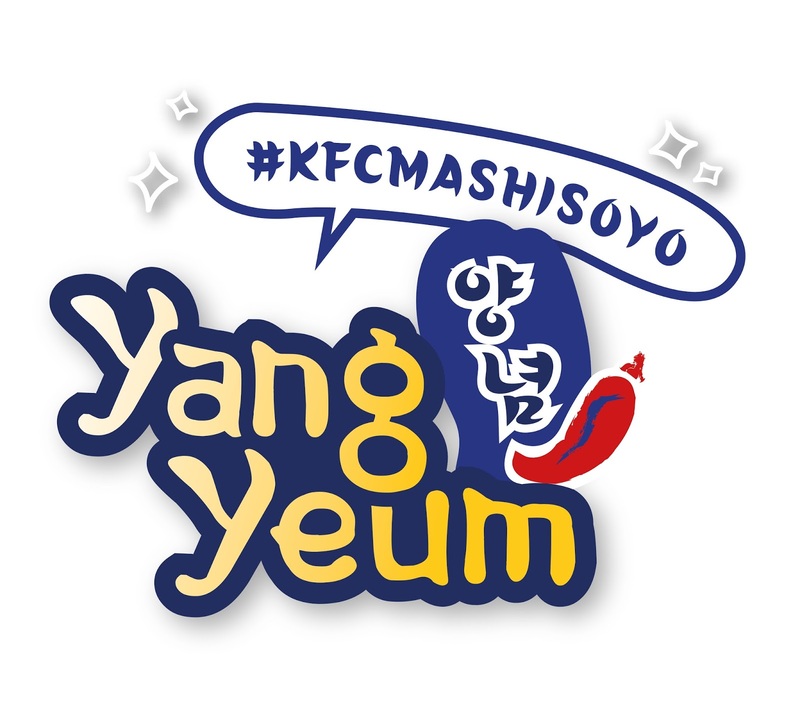 While the Umadare flavored wings are nice, my vote would have to go to the Korean inspired Yang Yeum wings!! The sweet and spicy sauce not only tasted fabulous, it was somewhat spicily addictive as well. The more I ate the more I wanted to eat! 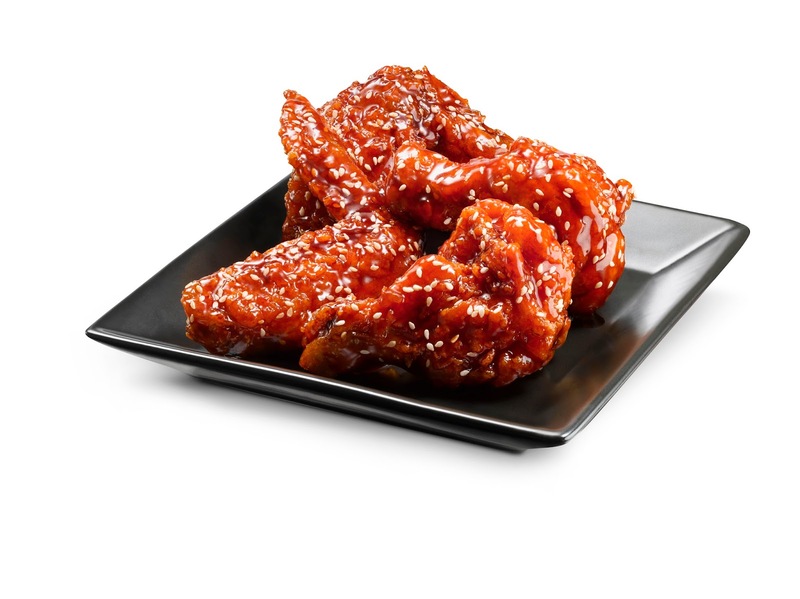 The sauce may be spicy, but it is tolerable (at least to me): the spiciness doesn’t linger on the lips and mouth for very long and is not overbearing, which makes you (ok, me) want to take another bite of that yummy chicken. One word – shiok. 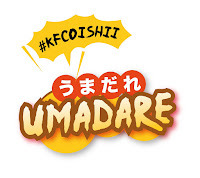 KFC is having an Instagram contest and having a battle of the wings. 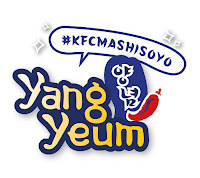 All you have to do is post a picture or video of yourself enjoying the wings on Instagram and hashtag your vote as either #KFCoishii (for Umadare) or #KFCmashisoyo (for Yang Yeum) in your posts. One lucky winner will be chosen from the ‘winning flavour’ to win a prize. 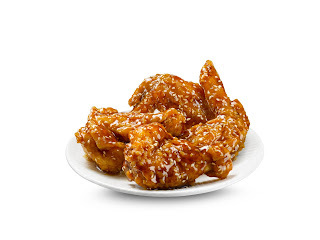 If you are doing a video, don’t forget to say ‘oishii!’ or ‘mashisoyo!’ while eating the wings. So what are you waiting for? Be part of KFC’s greatest wing-off today and pick a side!